Learning to communicate with your family pet should be fun for you and your dog but it should also be effective without causing any damage or unexpected side effects. More importantly, the methods you use to communicate with your dog should not be based on outdated myths or debunked theories. It is critical that any training methods you use with your beloved pet should be well-founded in science and not rely on fads, gimmicks, the latest electronic push-button gizmo or the edited smoke and mirrors used on television reality shows. And force and pain should never be used. 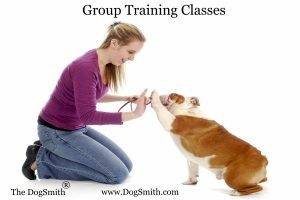 The DogSmith Dog Dog Training is what you need for all of your training needs. All DogSmith services are rooted in the most robust scientific research and the DogSmith is committed to always using only force-free training techniques that will be fun and stimulating for you and your dog. Force-free methods are safe, incredibly effective and help ensure that real learning takes place. Using force-free techniques your pet will never be subjected to negative side effects. Read more about our Private Training Programs, Board & Train Services, Group Classes and much more. This entry was posted in Blogs To Help You Train Your Dog and tagged Blogs To Help You Train Your Dog, DogSmith, Force Free, pet sitting, positive, Tampa on September 27, 2013 by DogSmith. 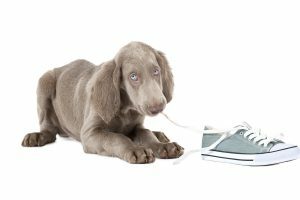 The world of dog walking and pet sitting is unregulated in most areas so anyone can potentially call themselves a professional Dog Walker or Pet Sitter. Can you check their background and do they do background checks on all of their employees? Some Pet Sitters/Dog Walkers may seem great when you meet them and say all of the right things but you are entrusting them with your pets and sometimes access to your home. You should confirm that the Pet Sitting/Dog Walking Company does background checks on their workers and you should look into the background of the company. You can use the internet or get more detailed information by using a background check service. Reputable Pet Sitting/Dog Walking companies will be happy to have you check their background. This entry was posted in Pet Care Articles & Tips and tagged certified, DogSmith, Florida, Mississippi, pet care, pet sitting, Texas on January 27, 2013 by DogSmith. DogSmith Pet Professionals have committed their professional lives to providing you with the absolute best, most informed, force-free, ‘state of the industry’ pet care and dog training available. Not only is each DogSmith fully insured and bonded but the rigorous training and continuing education each DogSmith accomplishes each year sets the standard in our industry. DogSmiths are fully accredited in pet care and pet first-aid and every DogSmith business owner is a certified dog trainer using only force-free training and pet care techniques. This assures you won’t be left without the services you require and will give your DogSmith plenty of time to prepare for any special requirements. The last thing we want to do is disappoint you when you need pet care services and we take pride in providing you the services you need, when you need them. Likewise, if you need to cancel your reservations cancel them as soon as you can. This will minimize any cancellation fees (especially around the holidays) and it will give your DogSmith a better chance to fill the time reserved for you with another client. We know this can sometimes be hard. You may not even notice some of your pet’s characteristics anymore or you may be hesitant to mention certain problems or behaviors. This is natural. But for your DogSmith to provide your beloved pet the best care possible we need the most accurate information on your pet’s health, behavior, fears, chronic conditions, past illnesses/injuries, likes, dislikes, phobias and preferences. Your DogSmith also needs accurate information to access your home. This can be especially critical if you are a regular DogSmith client. Some details concerning your home or pet may change between scheduled DogSmith services that you may forget to update with us. 4. Complete contact details for you while you are away including phone number, cell phone number, email address etc. 6. Food and feeding schedule. 5. Information on any friends or neighbors who may have access to your house. 6. Keys, alarm codes, community gate/access codes, combinations or little tricks for problematic locks. Always confirm your travel plans before your DogSmith services are scheduled to begin and keep your DogSmith apprised of any changes, especially your return dates. As mentioned above, update any information concerning your pet or your home with your DogSmith. Do you have a new alarm code, changed your pet’s feeding schedule or has anything else changed that your DogSmith should be aware of? DogSmith Pet Professionals do everything they can to completely satisfy every customer’s request but DogSmiths are in such demand that they may have to adjust their schedule slightly too properly meet the needs of their clients. If you have requested a specific service at a specific time the DogSmith Pet Professional will make every effort to accommodate your request exactly but there may be an occasion where the service may be a few minutes earlier or later than that requested due to other commitments. Your DogSmith will always attempt to accommodate your every need while you are away but please remember that if you ask for extra services it may not be possible for your DogSmith to always perform these if their schedule won’t allow it. When you return to your home and pets after being away, if there is anything you are concerned about please contact your DogSmith immediately. We will be much more able to address you concerns when your service has been recent. If you can think of anything else that we can do to provide you and your pets with the best care possible please contact us. The DogSmith is helping pets become family! This entry was posted in Company News & Views and tagged certification, certified, Dog Training, DogSmith, Force Free, franchise, pet care, pet sitting on January 4, 2013 by DogSmith. Oxford Pet Resort & Spa is the home of The DogSmith, America’s only force free dog training and pet care franchise. The resort offers your pet an opportunity to spend some time in a country setting. 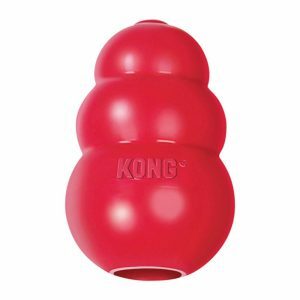 Dogs get to run, play, and romp in a safe environment. Our Certified Pet Care Providers are on hand to oversee your pets’ vacation and ensure they remain safe and secure while they have fun frolicking and breathing clean country air. Our resort provides loads of personal attention, country walks and lots of mental stimulation. 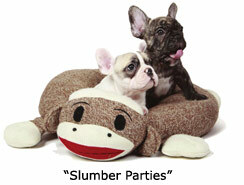 We offer a unique, unrivaled pet care boarding experience. Let your dog take a holiday while you’re on vacation! This entry was posted in Company News & Views and tagged Boarding, cat boarding, Dog Training, grooming, Mississippi, pet resort, pet sitting, pet spa on December 16, 2012 by DogSmith. Dog Training & Pet Care in Oxford MS – The DogSmith, Who are We? Schedule a Free consultation with your DogSmith Today. Providing force-free, fun ethical dog training services combined with personalized, flexible pet care programs. 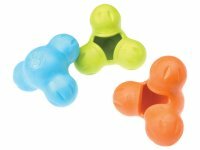 The DogSmith – Helping Pet’s Become Family!. Contact The DogSmith Oxford, MS. Register for dog training classes or schedule a pet sitting service. We are just a call away. 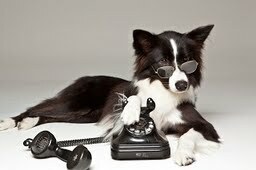 1-888-Dog-Smith (364-7648) or visit us on the web at www.DogSmith.com. This entry was posted in Company News & Views and tagged Dog Training, Mississippi, pet care, pet sitting, pupy training on December 16, 2012 by DogSmith. With the DogSmith’s Pet Care Program you’re never torn between the demands of your job, social life or family and the needs of your pets. Our pet care program is specifically designed to give you the peace of mind that comes from having the best of all worlds. Talk to your local DogSmith in Oxford MS to learn more about our services. All DogSmith service visits are a minimum of 30 minutes. DogSmith Pet Care Technicians are certified pet care providers and are trained in pet first aid and CPR. Review our service policies or view the DogSmith Pet Care Brochure. A full list of our services can be found here DogSmith Pet Care Services. This entry was posted in Pet Care Articles & Tips and tagged cat sitting, pet sitting on May 10, 2011 by DogSmith.